Although the initial investment cost for solar energy in Vietnam is high but it brings in opportunities for cheaper option than thermal power technology being used in Vietnam. In other country, solar power plants are competing fiercely with the thermal power plants running on coal. In Vietnam, Thien Tan solar energy plant has been started to construct on 24 ha land in Quang Ngai with capacity of 19.2 MW at investment of VND 800 bil. The Ministry of Industry and Trade has also approved the investment project of Tuy Phong solar energy plant on 50 ha land in Binh Thuan with capacity of 30 MW at investment of VND 1,454 bil. This will open opportunities for renewable energy to contribute to the effort of protecting the environment and curbing climate change. 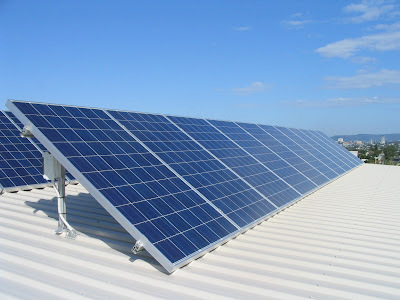 The solar energy is new in Vietnam therefore the investment in this area is at very early stage. However, the foreign investors have been increasingly interested in seeking opportunities in investment in solar energy projects. Similar to investment in wind power energy in Vietnam, one of the concerns for investors is the expected increase in purchasing price from Electricity Vietnam Corporation, the party whom purchase the electricity on Power Purchase Agreement (PPA). Further, legal frameworks for promoting solar energy investment are not yet finalized. Accordingly, the contribution ratio of renewable energy in Vietnam is minimal. The Vietnam government has been trying to put some effort to increase the renewable energy contribution to 5,6% (in 2020) and 9,4% (2030). To achieve this, Vietnam government shall need to be consulted on plan to support the solar energy investment project in Vietnam in tax, land, capital, power purchase agreement. Investors would need to be consulted by local consulting firm on process, procedures on investment policy, appraisal process, power purchase agreement, and other steps to develop and execute an energy project in Vietnam to improve the effectiveness of the investment in renewable energy.